MOPAR are at the forefront of the Jeep and the Fiat Chrysler range, and that is why we are proud suppliers of their high-quality parts, kits and accessories. But more than just being proud, we are super excited about the concept vehicles and parts debuted at the famous 2015 Specialty Equipment Market Association (SEMA) Show in Las Vegas earlier this month. 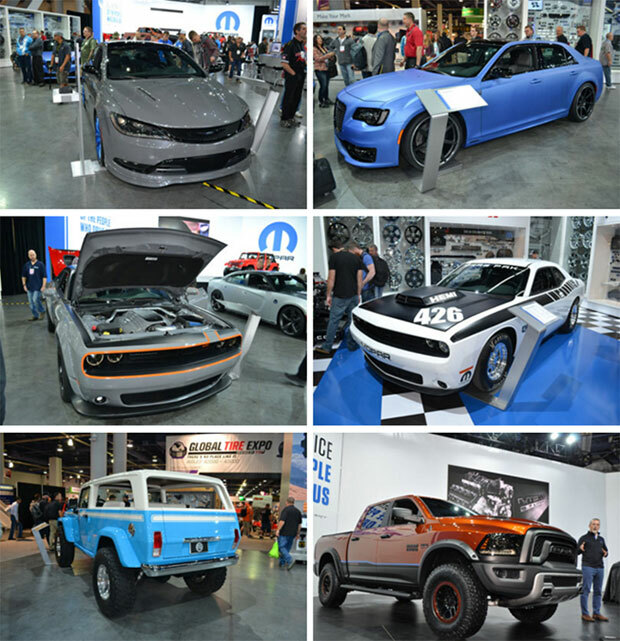 MOPAR hinted that there will be around 20 Mopar-modified vehicles on display 5,345-square-foot booth that highlights their ambitious plan to stay as a leader in their field. Although there will be a Dodge Challenger with AWD and a Ram concept, unfortunately we won’t see those production vehicles in SA anytime soon...so moving swiftly on, we have the Chrysler 300-based concept vehicle and from what we’ve been able to determine, is a close relative to the Fiat 500X. There hasn’t been much released on the styling, mechanical or technological advances on these vehicles but their images alone can only get you excited to see what the FCA brand has in store for its drivers. MOPAR will also be showcasing hundreds of parts and accessories, that will cover the Chrysler Group range including Fiat at the world’s premier automotive trade show. For more information on MOPAR accessories and their range of products that have transformed Jeep, Fiat, Chrysler, Dodge and Fiat vehicles into personalised rides. William Simpson Jeep Newlands is an authorised MOPAR supplier and fitting centre, check out the MOPAR range today!